This is a collection of my favourite works. All prints are numbered, and can be signed if you wish. As I want to personally ensure the quality of printing on each print I have turned off the shopping cart for this gallery. If you wish to purchase one of these prints please contact me by email at steven@stevenszabophoto.com. 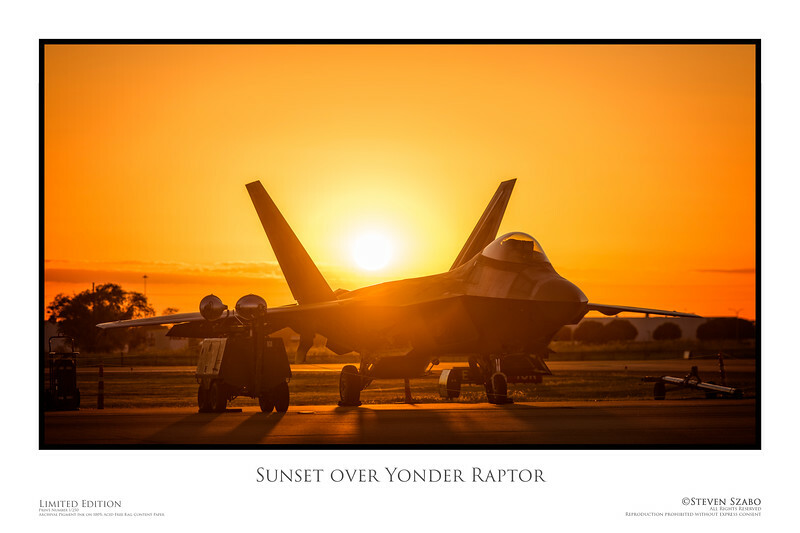 The sun sets behind a Lockheed Martin F-22 Raptor. Taken in Fort Worth, Texas. All images are copyright Steven Szabo Photography. Re-use without express permission is prohibited.